Home Internet & Network VoIP Latency - How Can It Be Reduced? 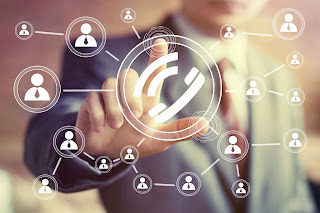 VoIP (Voice over IP) Latency is ill-famed for leading to cheap quality VoIP calls. Latency is defined as the time it takes for one endpoint to send a packet to another endpoint. Latency can be measured in one direction, or in both, and is quantified in terms of milliseconds. One-way latency is the time taken for a data packet to travel in one direction only and it is generally used to diagnose network problems. Another hand, two-way latency measures the round trip time and this figure is used to calculate MOS scores. A high round-trip latency affects normal conversation between people since the data packets take longer to reach their destination, and also take longer time for the acknowledgment to be sent back. Latency higher than 300 ms(milliseconds) is generally unacceptable for logical conversations, especially for organizations. Latency is more of a problem for VoIP since audio calls are real-time communications and even a slight delay is noticeable. Consistently high latency can slow down conversations and also lead to the dreaded 'talk over’ effect where one speaker interrupts the other. Latency can also cause echoes making it tough for the listener to differentiate between spoken words. The situation can be especially aggravating if one or both of the callers have pronounced accents which is generally the case with international business calls. This is a tough task and requires you to consider several factors, many of which are beyond your control. For instance, you do not choose which codecs your service provider uses. You don't have sufficient bandwidth. When the Internet connection is slow, data packets take more time to flow to and takes time to reach on the endpoint and this causes the communication to suffer. This is one of the disadvantages of packet switching, which VoIP uses. Your firewall might be blocking traffic. Checkpoints are always a bottleneck, so make sure you allow clearance for your VoIP apps within the firewall software. The wrong codecs are being used. Codecs are programs used to encode voice signals into digital data for transmission over the network, and your provider may be using the wrong codec for transmission, about which there's nothing you can do. You are using old hardware. Old hardware with new software or new networks might not work that well and latency is often a result. You should try using a different telephone adapter or a different phone (When if you are using an IP phone or any other VoIP-specific hardware). If the system in place is converting the signal to or from analog or digital, that alone might contribute to the latency. Buffering takes place both when audio data is being transferred and when there's a difference between the time of both events, and it can cause audio latency as well.